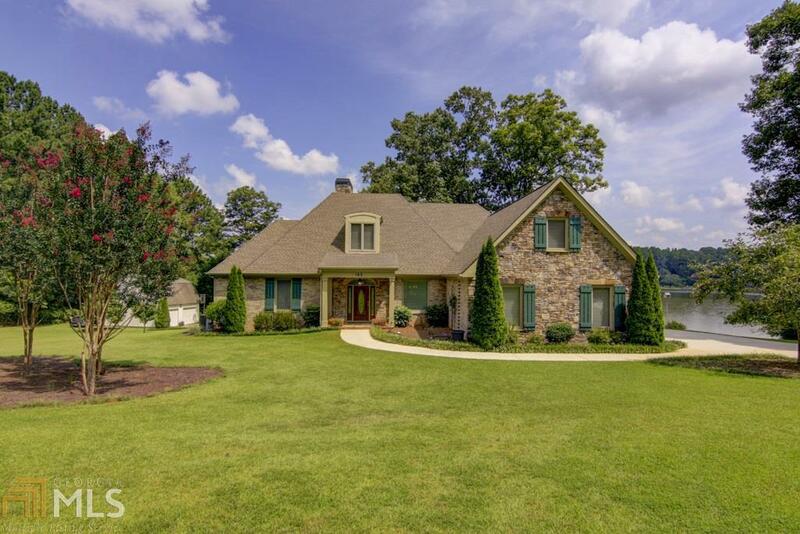 Custom built all brick lake front ranch on approx 60 acre private lake, close to PTC. This 3 acre setting is very private & peaceful. Gorgeous views of the lake from all rooms. The home offers 3 bedrooms (split bedroom plan) on the main level, & a 4th bedroom or bonus room upstairs. The 2 guest rooms on the main share a jack & jill bath. With one owner, the home has too many upgrades to mention. A large covered deck overlooks a great fishing lake & private island. Custom Pella windows through out. Separate outside storage building near the lake. A very rare find in Fayette county, this home is quality through out. Outside 2 story barn great for storage. Directions: From Ptc East On Hwy 54 To Left Onto Tyrone Rd. Right On Adams Rd. Go About 2 Miles To Right On Sandy Lake Circle. Follow Sandy Lake Circle To Home On The Left.